As promised, here’s the detailed guide on opening an account in FAMI. I received few inquiries about it so I decided to write a blog post. 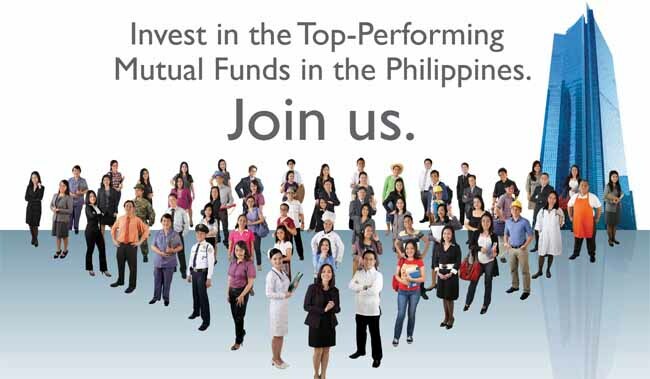 There are other mutual funds account in the Philippines, but I chose FAMI as I’m a fan of Metrobank…hihihi. Their growth in the past years are great and I have great confidence with them. You may also try opening account in other mutual fund companies if you want. For this guide, I will discuss about FAMI SALEF. Though considered as the highest risk funds, it is also the top earning fund in FAMI. Check my previous post about mutual fund to know more about it. To begin with, try to print the 3 documents needed to open an account. Click below link to download. Fill up all the 3 forms and put your signature on the space provided most especially on the signature card. You are required to sign twice on each, so total 4 signatures on that form alone. Once everything is filled up, you need to prepare your identification documents. You need 3: one is your passport, one is your work permit/work pass issued in your respective country and one ID from the Philippines like driver’s license, PRC, SSS or anything. Photocopy these 3 documents and sign the photocopied paper. Do not forget to sign, otherwise it is incomplete. Bank: Metropolitan Bank and Trust Co. The higher the amount your initial deposit is, the better. You can find out more about it on my previous blog about mutual funds. Submit the forms with your complete Information and signature together with valid IDs and the deposit slip thru email (FAMI@firstmetro.com.ph) or thru fax to book your investment, then send the original copy thru courier to First Metro Asset Management, Inc. 18th Flr. PS Bank Center 777 Paseo De Roxas Cor. Sedeño st. Salcedo Village, Makati. They will send you the Confirmation of Receipt (COR) as proof of your investment. For subsequent investment, you can send your bank transfer receipt on their email address. For more information, visit the FAMI page. If you are in Singapore, check my previous blog here. I posted a contact person there who can help you on your registration. i am working here in the UAE. which mutual fund is available here where i could invest? hi daisy. i’m also an OFW base in Singapore. i open mutual fund account from here, it’s FAMI SALEF account. you can follow the guide i posted here to open your account from UAE. if you still have questions, just leave your comment here. don’t forget to subscribe in our newsletter and join our fan page. thanks. How did you deposit your initial and subsequent investments to their bank if you were in SG? Is it via bank transfer? thanks russel. hope we can encourage more filipinos to invest in the Philippines. I am interested to invest some of my savings to a mutual fund. I want to send my deposit thru Quickpay(money remittance center here in KSA) to the Metrobank account mentioned. Is this okay and will they acknowledge the transaction receipt? Would an investment of 10,000php be enough? hi jonathan. i’m glad you are doing the right thing. yes, Php 10K is enough for a start. but i suggest you keep on topping up your excess money. also, to better guide on your investment, i will add you to our newbie investors group in FB. but before i can do that, we need to be friends. hit the LIKE button http://www.facebook.com/richardlmacalintal then message me to add you. btw, enter your mail on the subscription, as i am sending updates and tips on your investment. thanks. Hi Richard I am interested to invest,I am also OFW from CY, I want to learn all the details.. Details after funding your account and the benefits, I mean your income will be. Thank you. hi max, investment po ito, hindi business…..so instead na income, i will refer to it as gains. We have invested in FAMI last December. Till now we haven’t got the acknowledgement receipt. Is this normal with FAMI? We would like to add to our investment we are not very happy with the slow process. We don’t even have an account number yet. hi daisy. sobrang tagal na pala, you should call them in their office to follow up. did you use a registered mail? the question kasi is, natanggap ba nila yong mail mo? kase kung hindi naman….di talaga nila aasikasuhin yan. alam mo naman sa atin, uso rin yang ganyan na hindi dinideliver ng kartero yong mga sulat. go to their website and call their hotline number. i think there really is a problem. Kasi my daughter and nephew got their confirmation after almost a year. It’s disgusting considering our modern communication systems. eto po ang facebook page nila: https://www.facebook.com/firstmetrofunds you can post your questions there and tell them how bad their service is…. actually me and my wife opened FAMI account last Jan 11 from Singapore. after 1 and a half months i received the COR, but the good thing is Jan last week yong purchase date nila ng shares ko. meaning, natagalan sila sa pag send ng COR sa aken but I already have the account on their system. anyway, i suggest pa rin na kontakin nyo sila. and by the way, i also have another account in Philequity. you can try to open an account from them as well. yong COR, di na nila ime-mail, ii-email na lang syo. no physical paper needed. Thanks indeed Richard for your help. Will try to contact them and will also look into Philequity. By the way, i intend to join the Truly Rich Club and might also invest in stocks. that’s great. pls use this link to join TRC: http://www.trulyrichclubmember.com . ask ka lang pag may question ka. are we friends in facebook? i’ll add you on our newbie investors group para update ka sa mga investment news 🙂 message me in facebook so i can add you. yes we are on fb. i will complete my registration with TRC next week. how do i start with the stocks? first, you need to create account to them: http://richardmacalintal.com/step-by-step-guide-in-opening-an-account-in-col-and-start-investing-in-stocks/ registration is free, just submit the requirements. then subscribe to Truly Rich Club http://www.trulyrichclubmember.com to learn more about it. Bo Sanchez is also giving stocks recommendation every month. Just stick to his teachings. Do I need to invest same amount of money on a regular basis? Like if I will open an account of 10k, do I need to give every month 10k? Hi Richard, I intend to apply as “Individual”. What happens if I die suddenly? Knock on wood. kung mamatay ang account holder, pwede ma claim ng immediate family yong account mo. don’t worry much about it. as long as alam ng family members mo na may ganong account ka. just make sure they know your account number and other details para madali mag process. Nagopen na ako ng account sa FAMI, gaano katagal bago nila ibigay yung confirmation of remittance? April ko niremit until now wala pa rin daw confirmation ang metrobank remittance..
hi crese. san po kayo nag open ng account? kung sa pinas, mga 2 weeks siguro. kung abroad naman po, medyo matagal…. a friend of mine inabot ng 2 months. kaya better kulitin nyo lagi thru calls and email ang FAMI. First of all. I want to thanks you for referring a friend of yours in opening a FAMI account. I hope you can refer them to me so that if they have any concerns, I can be their contact person to help them, as I have helped several OFWs. To those who have already invested and would like me to be their contact person here, i will be very happy to assist. bakit importante na mas malaki ang initial deposit sa MF? although required talaga na mas malaki kesa sa suceeding, is there a good reason? 5k is a reasonable opening account, then 1K for succeeding investment. i think para po ma cover yong mga admin charges nila and to break even. di naman lahat kase mag-oopen and regularly dadagdagan. but that was my guess only. hi ms jane. i’m not sure if you can use your foreign passport, but make sure you also have your philippine passport submitted when opening. iba kase ang law kung foreigner ang mag open ng investment account. you may try to send email query to them directly. yes, you can use the TIN that you have. Based on my experiece as a FAMI investor and distributor under Rampver Strategic Advisors , FAMI is not that strict with TIN requirements but it is ok to have your TIN para sigurado. Confirm ko lang, na if i want to continue the deposits, i just use Salef Account details? I am here in UAE na, and i opened the account before in Ph. I guess I can do direct deposit (thru money exchange shops) using the SALEF Acct No, is that right? Tapos I send the screenshot sa FAMI email, ganun po ba? Balak ko po sana mag open ng account sa FAMI. Ask ko lang po kung same procedure pa din po ba?